"This book changed my life!" "You have to read this!" These are just a few of the declarations I heard as I considered adding this read to my book club's calendar. "80% of life's defining moments happen by age 35. " In "The Defining Decade", Meg Jay breaks the book down into three sections: Work, Love and Brain & Body. I'll summarize each section in their respective order. In this section, Meg Jay talks about the importance of twenty-somethings being intentional in how they navigate their careers. One of the most relevant chapters to me was on the power of weak ties. Weak Ties are described as being connections you have with acquaintances that can propel you forward. Although everyone needs an "urban tribe" (core friendships/support system), she argues that most people are propelled forward via favorable interactions with weak ties. She also discusses the impact of social media (specifically Facebook) in how twenty somethings measure their success. The narrative of "should" is a huge component of this: I should be married by now, I should be in my career by now, I should be making this much money by now, I should have traveled this much by now, etc. This section truly resonated with me because as a twenty something year old, I have felt the stress of not knowing which next steps to take after graduation and the feelings of insecurity when comparing my life to those on social media. This section dealt with the area of relationships. Dr. Jay truly comes with opinions backed by research based statistics. 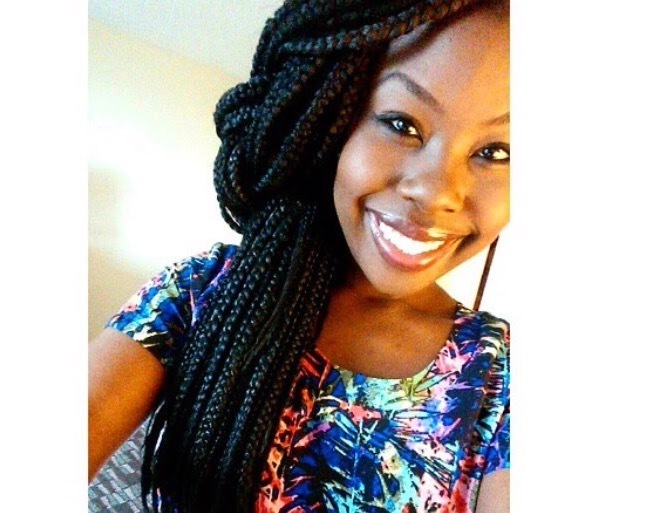 She discusses the topics of dating down, cohabitation and being in like. She also discusses the reality of needing to be compatible in personalities and the concept of neuroticism. What is that??? In lamest terms, it describes personalities that tend to have anxiety, OCD, moody, etc. What are you looking at? That's not me...all the time. At the end, one of the biggest things that stood out to me was the notion of considering what I want versus just wanting to be wanted. And this was huge. She shared how the average age of marriage is getting later and later with each generation. Our grandparents were getting married in their late teens our early twenties. During our twenties, she states that it's important we truly consider our life partners and what qualities we value rather than waiting until we're in our thirties to start thinking about this. This is where the ladies of my book club had a fit lol. "I can't make someone marry me." "I do know what I want, but how do I get it?" "I enjoy being single. Why is it wrong that I am not seriously dating right now?" These sentiments and more were shared and I agree. This chapter, although it did have some solid points, made me feel like something I can't control is my ultimate responsibility. And in an effort to not make us feel like we "should" be in a certain place in life, Jay created her own timeline that left us frustrated. 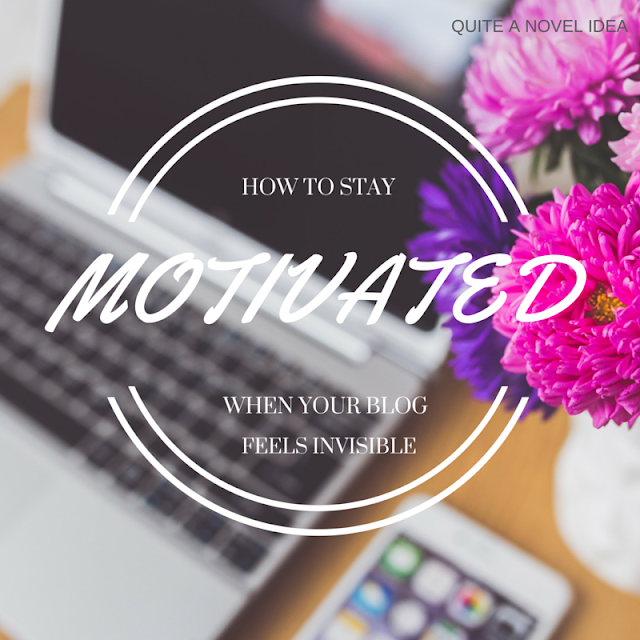 In her final words, Jay encourages her readers to consider how they can move from where they currently are in life to where they want to be. She discusses the importance of forward thinking. She argues that our twenties are some of the most confusing and difficult years of our lives. So rather than trying to make the 20s the best times our of lives, she shares that we should make wise decisions during this time that will positively shape our future. I enjoyed this read, however I feel it could leave twenty somethings feeling "behind" in some areas and ultimately hopeless. In other areas, however, I feel Jay gives GREAT advice on the importance of not living life as if things are going to just fall in our laps. 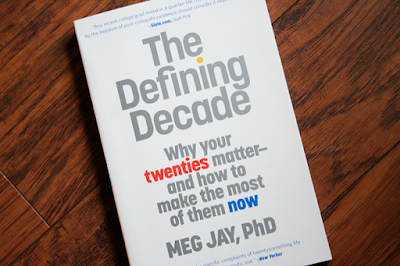 Have you read "The Defining Decade"? Do you agree with Dr. Meg Jay? Why or why not? I haven't read this one before. I find sometime self-help books are geared to a very specific audience and can often leave out young adults. It sounds as though there are some inspiring aspects to this one, though. I'm not a huge self help book person but I'm glad you did like this. This book is speaking to me, it is showing me that I have been on the right path.I am glad you loved it!